edit: Date of first sale was May, date of first production was April. 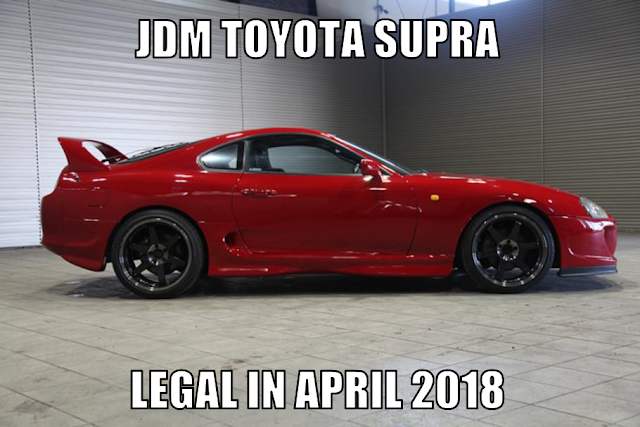 The Toyota Supra was made in Japan from April 1993, making it over 25 years old, and eligible to import to the US starting in April 2018. While there are differences in the US and Japanese model, the biggest being the position of the driver, these cars are still highly desired.